1. 3 Course Comedy features Michael Shafar, David Rose and Tim Hewitt, who are three of Melbourne’s best up-and-coming comics. They are nice boys and good mates. 2. Michael will be opening the show and he is fully Jewish. David will then follow and he is half Jewish. Tim will then close the show and he is not Jewish at all. Progressively, the show becomes less Jewish. Following this pattern, there’s a good chance that the Pope will perform the encore. 3. David was once heckled by an old Jewish lady with a recipe for chicken soup because he is too skinny. 4. Michael refuses to confirm whether or not that lady was Michael’s grandmother. 5. 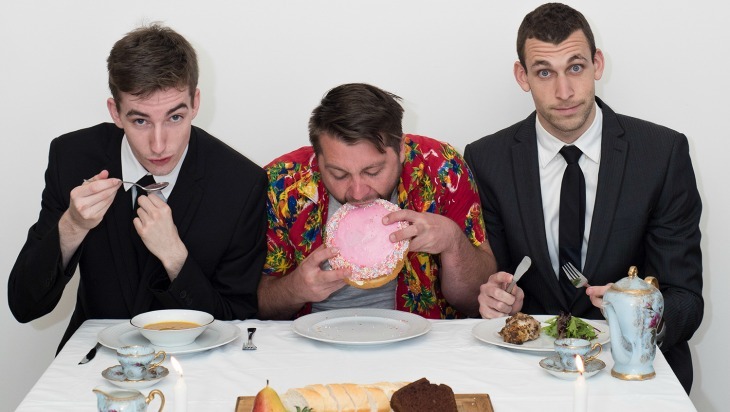 3 Course Comedy sold out its entire run at Perth’s Fringe World. For $15 you get to see three gigs from three rising stars on the Australian comedy scene.